“While we’re in Niagara Falls, why don’t we check out the screaming tunnel?” Marlene clapped and bounced on her toes. Horror, spooks, and anything haunted was her cup of tea. Marlene pressed her voluptuous chest against his arm and pouted. “Pleeeese Billywilly? I’ll make it worth your while.” She winked as she kissed his cheek. “Anyways, there was a fire, and the girl died screaming. So, they say if you go into the tunnel and light a match, the girl starts screaming, and your match will go out.” Marlene was giddy and thrummed her legs as she watched the bland Thorold landscape pass by. “There, there,” she pointed at the exit to Warner Road and popped open the glove compartment to see if anyone left matches in the car. It was her lucky day, she rattled the little cardboard box, it was full. As the car rolled to a stop, she opened the door and hopped out. 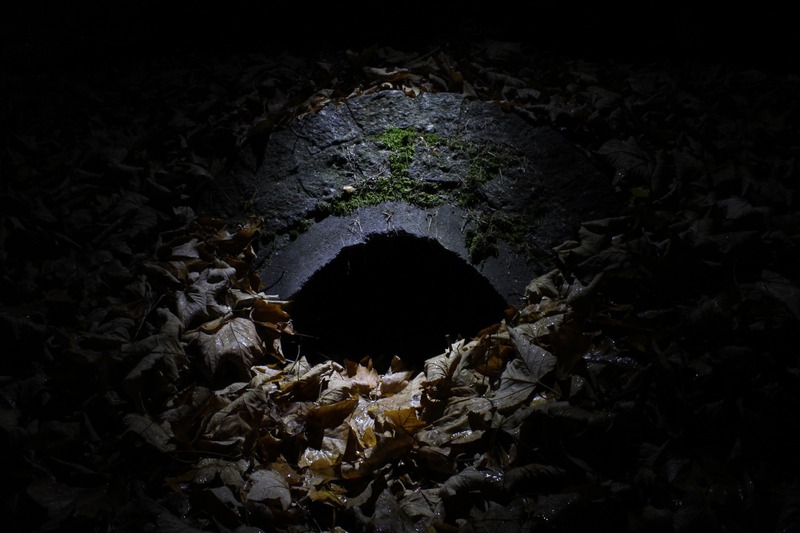 Marlene ignored Bill, she wasn’t cold at all as she stood at the mouth of the old limestone tunnel and peered in. “Well, it’s not as long, or as spooky, as I thought it would be – look you can see through it.” She stepped into the muddy opening and waited for Bill to catch up. Bill looked around. “Kind of disgraceful of kids to graffiti even this place huh?” he touched the cold, damp wall. “Now there’s a plan.” He grinned and followed along. Suddenly the tunnel darkened further, the end ahead cast in deep shadow, and a thunderous boom rocked the ground beneath their feet. A quick flash of lightning danced zigzags in the opening and rain began to hammer down. Bill rolled his eyes and leaned against the wall, ready to get out of the cold damp weather. “Sure.” Was all he said. Marlene pressed herself closer to the wall as well, trying to keep her new open-toes sandals out of the water. She flicked the match against the striker on the box. The flame popped to life, sputtered and held a steady flame. “Are you supposed to say anything?” Bill asked. “No, shhh.” Marlene scolded listening to the downpour of rain and waiting. There was another crash of thunder, and the match went out. The light of the flame had briefly blinded them and the tunnel now appeared darker than before. A streak of lightening flashed, and shadows crept across the walls. Undulating elongated arms stretched across the ceiling. “What was that?” Bill asked. “What?” Marlene pulled another match to light. Bill pointed. “There at the end of the tunnel?” He squinted leaning into Marlene trying to see further than his old eyes allowed. “Is that a kid? HEY! You there!” He yelled. “There is no such thing as ghosts. Come on that kid might need help.” No longer worried about the rain, Bill left Marlene and walked to the end of the tunnel. As Marlene proceeded to light the next match, there was another ground rumbling roll of thunder. The match went out in her fingers, and a gentle whisper tickled her ear. Shivers raced across Marlene’s body, and her legs went weak. She turned her head to the right and came face to face with a girl about twelve, wide-eyed and dripping wet. Marlene gasped and stumbled left, her heart pounding painfully fast, and her voice caught in her throat. The girl’s mouth gaped open, a black maw of pure hatred, and let loose a scream that pierced Marlene’s ears. As the next bolt of lightning lit up the tunnel a roar of searing flames engulfed the center. The girl embraced Marlene, and as her own voice returned, their screams melded together and became one. Bill staggered back falling out of the tunnel into the rain, he was in shock at what he just witnessed. The thunder deafened the screams, and then he saw no more as the lightning electrified the wet ground. Theresa Jacobs believes in Magic, Fairies, Dragons, and Ghosts. Yet she trusts Science and thinks that Aliens know way too much. Through hard work, she has published a Horror Novella, Horror anthologies, children’s books, and poetry. She is a contributor to 1428elm.com an online Horror Magazine. While working full-time, is also currently writing a sports figures biography, a horror novel, and a Sci-Fi novel…so stay tuned.